Mid-range and budget handsets launched in the second half of the year will be boasting better AI capabilities, longer battery life, greater graphics and enhanced performance. That's according to Qualcomm, as these are the claims it's making about a trio of new chipsets it's just announced. The Snapdragon 632, Snapdragon 439 and Snapdragon 429 won't be powering the likes of the Google Pixel 3 or Samsung Galaxy Note 9 later this year, but for entry-level and low-to-mid-range devices they could well make a marked difference. The Snapdragon 632 looks to cascade flagship features further down the smartphone pecking order, introducing 4K video recording and mainstream gaming capabilities to a new handset price point. 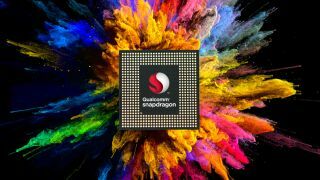 Meanwhile the Snapdragon 439 and 429 look to provide AI camera, voice and security smarts to budget devices, as well as faster downloads and video streams - although they can only support HD+ (720p) displays. Qualcomm says that it expects the first devices to pack the new chips to arrive in the second half of 2018, and seeing as that's just days away now we could see them in action very soon.